why an eye makeup is so important? Makeup is the best to enhance your looks. It adds on to your personality and your outfit. Makeup needs perfection and especially when you talk about the eye makeup. Eye is a very sensitive part of our body and thus it should be treated accordingly. 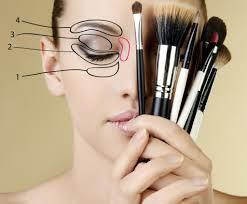 While applying makeup to your eyes you need to take care of proper cleanliness and perfection with your hands. The more perfect eye makeup is done, the more your eyes will speak for you. so, ladies brace up yourself as you need to learn how effective eye makeup is? Undoubtedly eye make-up is very effective as it boost your look and completes your look for any occasion be it a formal conference, a get-together with friends or a disc party. You are not ready until you are done with your makeup. So you need to make it effective and eye catchy. 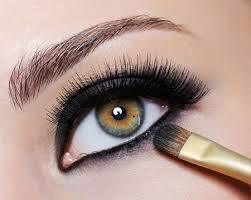 So here are a few tips applying which you will understand that how effective an eye makeup can be for best appearance. First of all, the eye shadows. Eye shadows give highlighting look to your eye and it is the base of the entire eye makeup. You must take care of the shade you are applying as your eye shadow, because the colours you are using should perfectly match with your skin tone. Next you must notice that your eye shadow is perfectly blended, if it is not done neatly, it would not look graceful or it could even spoil your look. Also you to take care of the different shades if you are using them in your eye shadow. You need to blend them with each other with a good finishing. Next is applying eyeliner. It is equally important as well. You need to give it a finishing look as well as it would make your eyes look bigger and smarter. Apply eye liner according to your eyes, think or thick both looks magnificent if applied well. After applying eye liner you need to keep your eyes shut for a minute or two till your liner gets dry or else if it gets spread it could spoil your entire makeup. After you are done with your eyeliner now you could apply your kajal if you wish to. You could go both ways either you could apply a thin neat line or else you could apply a broad smudged line below your lower eye lid. you yourself will realise that your eye makeup is effective or not when you will end up with your entire makeup. You will see that you have totally changed for a better. Only after doing the complete eye makeup you will be ready for your occasion. To make your eye makeup more effective and catchier you could try the eye lashes. For it you need to apply mascara to your original lashes and then with the help of glue you need to stick the artificial ones. And then you will she you are no less than your favourite actress. So girls are you still reading? Stand up and give it a try. Looking for waterproof Make-up tips for seasonal changes? How to Get a Fair Skin at Home?